And significantly, more girls than boys will never go to school in South Asia. This is leading to the highest incidents of child marriage and child labour in the world. And when we look at young people, only a quarter of them leave school with the secondary skills they need. This growing gap in skills will stunt economic growth, with far-reaching social and political repercussions. By 2021, 10 million previously out-of-school girls and boys are enrolled and learning in pre-primary, primary and secondary schools. Reducing the number of out-of-school children in South Asia requires a multi-sectoral approach involving both structural and systemic changes. Attitudes and behaviour will also have to change. 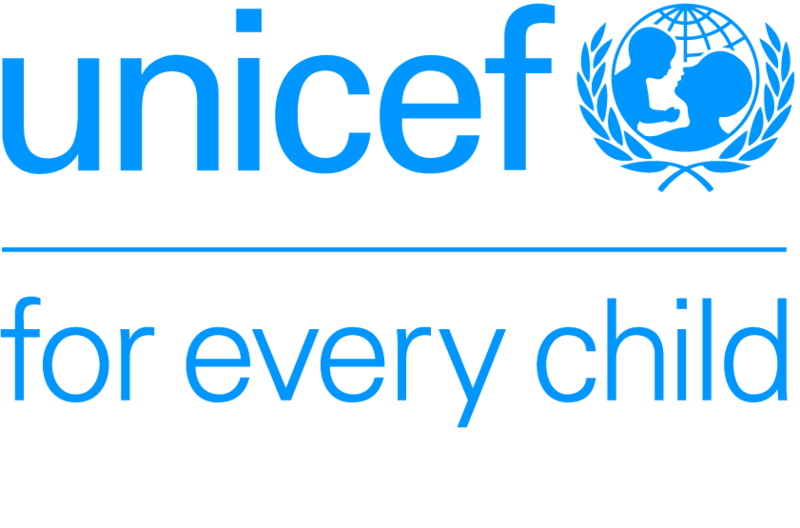 UNICEF therefore applies a holistic approach that covers the entire lifecycle of children (infancy, pre-school, elementary and secondary education, and finally the labour market), addressing vulnerability points along the way. Progress has slowed over the last decade and the number of out-of-school children remained almost static between 2013 and 2015. Data Source: UNESCO Institute of Statistics (UIS) for regional aggregate estimates up to 2014, using United Nations Department of Economic and Social Affairs Population Division population data (2015 revision), and UNICEF ROSA own calculations for projections past 2015. About 11.3 million South Asian children at primary level and 20.6 million at lower secondary level are not in school.3 This is leading to the highest incidence of child marriage and child labour in the region. Gender discrimination, disasters and armed conflict, language challenges, household poverty, child labour, child marriage and factors related to disability are the main barriers keeping children out of school. Getting children to school is only the start. Completing a full cycle of basic education is a challenge for many children in South Asia, which has the highest attrition rate in the world. And even if children do complete their schooling, many of them do not achieve minimum learning benchmarks in literacy and numeracy. This is the highest rate of attrition in the world. Data Source: UNESCO, EFA Global Monitoring Report 2013-14, p.191. Barriers to education are higher for girls than for boys. And poorer children are less likely to go to school than their peers from richer families. 81% girls compared to 42% boys. Poorest girls remain the most likely to never set foot in a classroom. 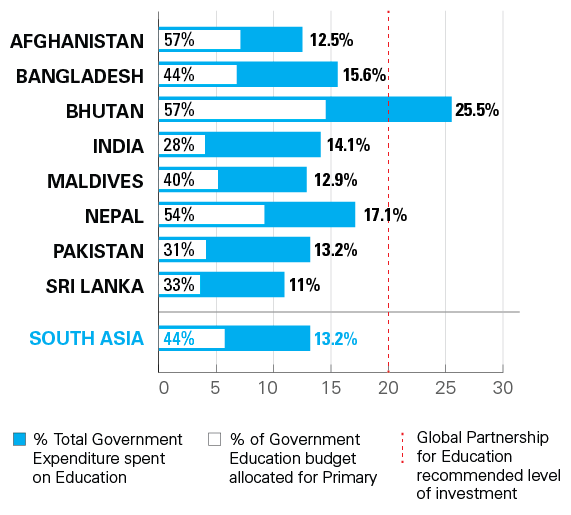 Comparison of government expenditure on education - countries in South Asia. Data Source: UIS data 2015 estimates for all countries except India (2013). The number of out-of-school children has fallen by an estimated 3 million since 2014. This was driven primarily by a significant downward trend in India, where the number of children aged 6-14 not in school fell from 8 million in 2009 to 6 million in 2014;4 there were also substantive improvements in early learning.5 In Pakistan, the number of children aged 6-9 out of school fell from 6.7 million in 2012-2013 to 5 million in 2015-2016.6 Over this period, UNICEF South Asia worked with countries through equity profiling, and strengthening monitoring systems linked to high impact, cost effective quality education interventions across the region. The actual result will be known in 2019 due to the two-year lag in data from the UNESCO Institute of Statistics database. Despite challenges, progress has been made and opportunities for improvement have been taken. UNICEF South Asia with Country Offices have stepped up efforts to improve learning outcomes in the next Regional Office Management Plan from 2018-2021, setting the ambitious target of ensuring 10 million previously out-of-school are in school and learning. This builds on the recently completed 'Improving Education Quality in South Asia: Mapping UNICEF's Efforts' and guidance on 'Cross-National Learning Assessment Initiatives - Lessons learned for a South Asian Partnership on Improving Teaching and Learning through Assessment'. Substantial technical support was provided to Bangladesh on the education response to the Rohingya crisis. This resulted in a comprehensive learning approach and framework to scale up the education response to benefit over 200,000 Rohingya refugee children. During the expanded regional management team meeting in Kolkata, preliminary findings were shared by the Population Council for the UNICEF-commissioned study, Child Marriage, Teenage and School Drop-out. The findings fed directly into the country-level roadmaps to drive gender equality in education and the reduction/prevention of child marriage. New and important partnerships were established with the Education Commission and the Global Business Coalition on Education. 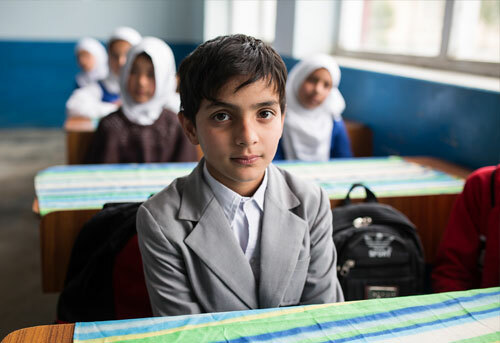 The UN Special Envoy for Global Education, former UK Prime Minister Gordon Brown, has been working with UNICEF South Asia towards delivering a 'Learning Generation' and leveraging results through governments across South Asia. In partnership with the Global Partnership for Education and the UN Girls' Education, UNICEF South Asia organized the first regional workshop on gender-responsive education sector planning/public financing for children. This engaged the ministries of education and finance, plus development partners and civil society organizations from Afghanistan, Bangladesh, Bhutan, Maldives, Nepal and Pakistan. Together with the JustJobs Network and a wide-ranging advisory committee consisting of leading experts,7 UNICEF South Asia and the renowned UK Education and Development Forum launched the report From Education to Employability: Preparing South Asian Youth for the World of Work. The report highlights the need for greater investment in solid education and skills so that young people can better respond to the 21st century economy. UNICEF South Asia co-organized the 3rd Asia-Pacific Meeting on Education in Bangkok with UNESCO, UNICEF East Asia and Pacific, and SAARC to advance SDG 4.7 and skills for life, work and global citizenship. This included a culture of peace and non-violence which has directly fed into secondary/adolescent education in Bangladesh, India and Maldives as well as through social media and #WetheFuture. A strengthened focus on early childhood development (ECD) in the region resulted in the development of a cross-sectoral roadmap to deliver on this output in the new Regional Office Management Plan. UNICEF South Asia supported the largest ever regional policy/practitioner forum on 'The Transformative Power of ECD: the importance of holistic interventions' organized by the Asia Pacific Network on Early Childhood. The forum was opened by H.E. Hun Sen, Prime Minister of the Royal Government of Cambodia, and it fostered greater inter-ministerial convergence and synergies between research, policy and practice. Building on this, UNICEF South Asia organized the first ever ECD Network meeting to support convergent programming and results for high-quality ECD. Inequities in education persist in South Asia. Some groups of children - from the poorest families, girls, children with disabilities, and children living in rural remote areas - are more likely than their wealthier, male, non-disabled and urban peers to be excluded from education. There are inequities with regards to primary completion rates in Pakistan in 2012 and Afghanistan in 2010, respectively (see figures below). For each country, the graph presents three dimensions of inequity: wealth in green, gender in red and location in yellow. For each dimension, different population groups were surveyed: the upper line represents the situation observed amongst people aged 15-24, the lower line represents the situation amongst children of appropriate graduating age for primary school. For instance, in Pakistan, amongst children of primary graduation age, 88 per cent children from the wealthiest quintile complete primary education, compared to only 24 per cent of children from the poorest quintile. Similarly, In Afghanistan only 8 per cent of girls from the poorest quintile complete primary education, compared to 57 per cent of girls from the richest; only 31 per cent of boys from the poorest quintile complete primary education, compared to 78 per cent of boys from the richest. 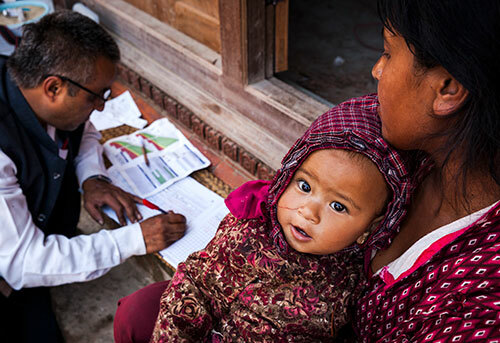 Mobilizing partnerships for education in South Asia level and across the wider Asia-Pacific region (and beyond) is a key strategy and priority area. 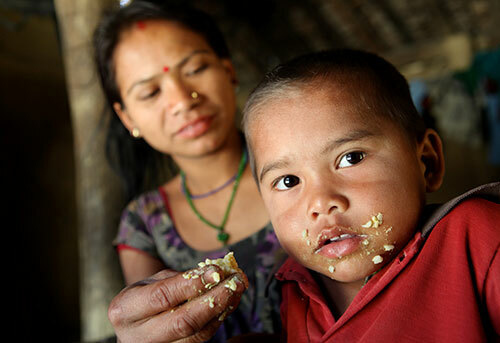 There is already strong regional collaboration between SAARC, the Asia-Pacific Network for Early Childhood (ARNEC), UNESCO, the World Bank, the International Labour Organization, and other agencies and development partners. 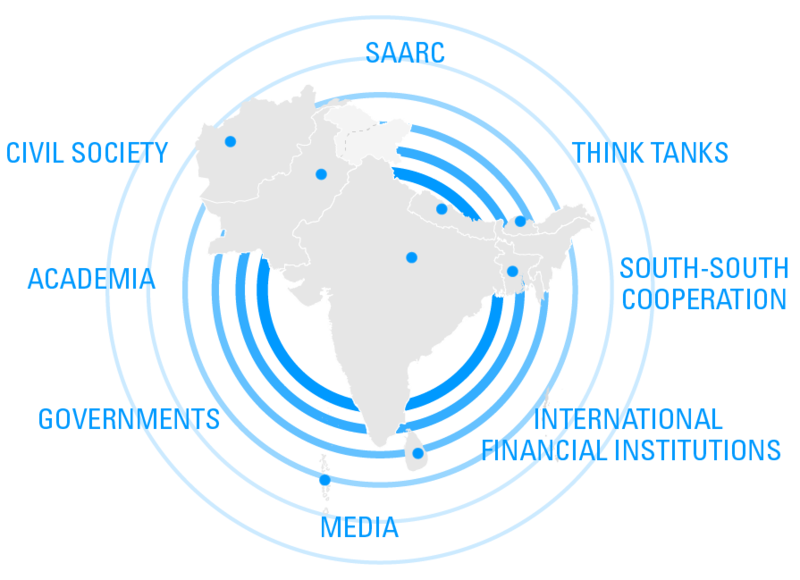 Other active partners include think tanks, civil society organizations, the media and the private sector. To complement ongoing collaboration with the Global Partnership for Education, UNICEF South Asia is working with governments across South Asia and the Education Commission and the UN Special Envoy for Global Education, former UK Prime Minister Gordon Brown, to deliver a 'Learning Generation'. On 25 September 2015, the international community - led by the United Nations and Heads of States - endorsed a new sustainable development agenda. The 17 Sustainable Development Goals (SDGs) aim to end poverty, protect the planet and ensure prosperity for all. Each goal has specific targets to be achieved by 2030. SDG 4 commits countries and the international community to 'ensure inclusive and equitable quality education and promote lifelong learning opportunities for all.' An Education 2030 Global Framework for Action has been endorsed to guide implementation and financing to meet SDG 4 targets. 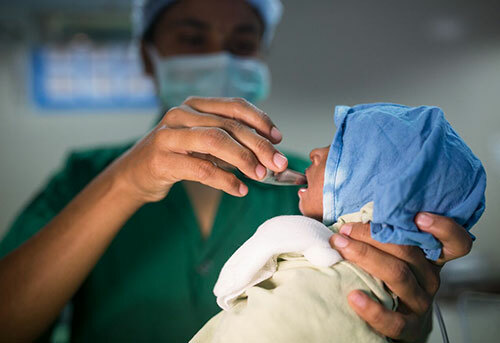 UNICEF sees the adoption of the SDGs as a historic opportunity to advance the rights and well-being of every child, especially the most disadvantaged. It is also chance to secure a healthy, peaceful planet for today's children and future generations.8 The SDG's focus on inclusion and equity - giving everyone an equal opportunity and leaving no one behind - is captured in the UNICEF South Asia Education Headline Result: 'By 2021, 10 million previously out-of-school girls and boys are enrolled and learning in pre-primary, primary and secondary schools'. In line with the SDGs and the Headline Result, UNICEF South Asia is committed to expanding efforts to reach children marginalized from education by gender inequality, poverty, conflict and disaster, disability, remoteness of location and other factors. Emphasis is placed on learning as well as the quality of education - countries are supported to ensure that students are learning (either through formal schooling or alternative options) and that all children have access to education. Within the broader scope of the global Framework for Action for Education 2030, UNICEF South Asia (in collaboration with UNESCO) supported the South Asia Association for Regional Cooperation (SAARC) Secretariat to draft a regional framework. In September 2016 the Technical Meeting of SAARC Education Officials endorsed the draft SAARC Framework for Action for Education 2030, but ministerial approval is still pending. The SAARC Framework institutionalizes regional coordination, partnerships and networks, and the monitoring of SDG4 in the South Asia context. In collaboration with the UNESCO Asia-Pacific Regional Office and UNICEF EAPRO, UNICEF South Asia is also co-chairing the Asia-Pacific Thematic Working Group on Education 2030+, which is positioned to be the main regional coordination mechanism among United Nations agencies and development partners to support countries to achieve SDG 4. 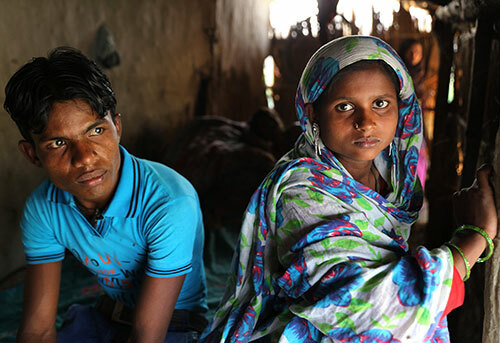 In Bangladesh, 40 per cent of secondary-school-age adolescents are out of school and vulnerable to violence and abuse, including child marriage, child labour, drug addiction, and physical and psychological violence. There are few alternative pathways for continuing education that can link them with jobs and a decent life. 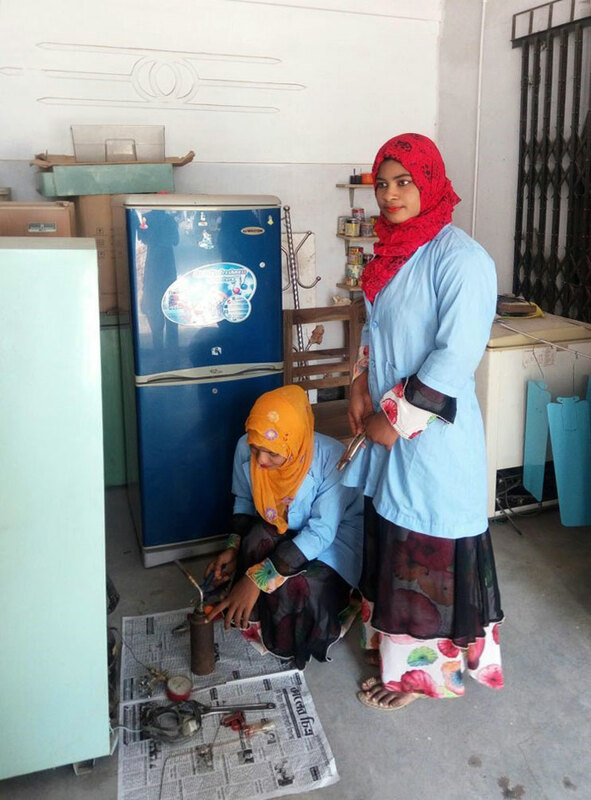 In partnership with BRAC, the world's largest NGO, UNICEF supported the adaptation of the traditional Ustad-Sagred (Master-Learner) model of teaching and learning to include supervised informal apprenticeships. Selected learners receive on-the-job training from a master tradesman, following competency-based training and assessment. The learners also received classes on trade and soft skills training to prepare them for employment. This intervention is helping 18,900 of the most disadvantaged and vulnerable out-of-school adolescents by bringing them back to the learning ladder, equipping then with relevant skills, and providing opportunities for employment and decent work. More than half of the participants are the most disadvantaged and vulnerable adolescent girls, and at least 10 per cent of learners are children with disabilities. One of the initiative's notable positive impacts is to delay marriage. It has also helped challenge some of the social barriers and stigma related to gender-biased work distribution and female mobility. Documented as a successful initiative, it is now set for nationwide scale-up under the technical education stream in Bangladesh.